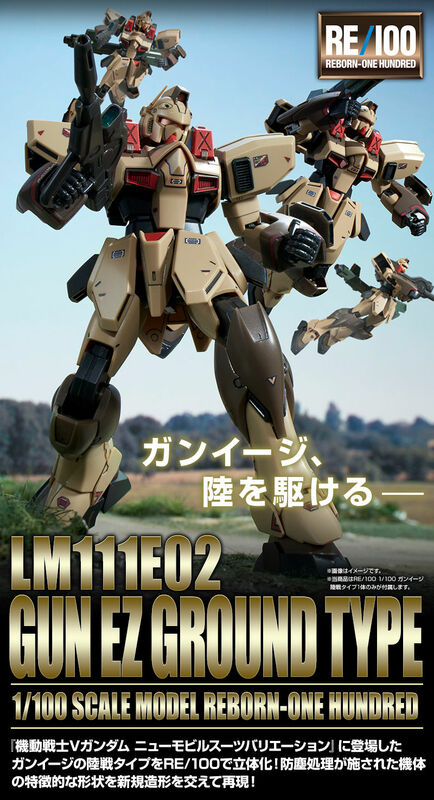 From "Mobile Suit V Gundam New Mobile Suit Variation", the land battle type of the gun Eiji is three-dimensional with RE / 100! Reproduce the characteristic shape of the dustproofed aircraft with new modeling! ● Reproduce the distinctive shape of the land battle type with new modeling! RE / 100 Based on the gun eagle, the head, torso, shoulders, etc. are reproduced with new modeling. We reproduce characteristic shape of land warfare type by new modeling including addition of visor, forehead, Vulcan gun, antenna. A new model reproduces the shape in which an additional armor is attached to a dual multi-launcher equipped on the upper chest. Opening and closing hatch reproduces coloring in molded red color. Add a distinctive front duct. Reproduce the characteristic side armor shape with new modeling. The exterior of the calf to the ankle is reproduced with a new model. Additional reproduction of the details such as the thruster mouth which made the dustproof measures. Beam rifle can be mounted on the side. ● Reproduce the distinctive exterior of the land battle type in molding color! We reproduce characteristic sand color of land warfare type with molding color and parts division. ● New design water transfer decals are included! We reproduce the characteristic airframe marking of land battle type with the new design water transfer decal. 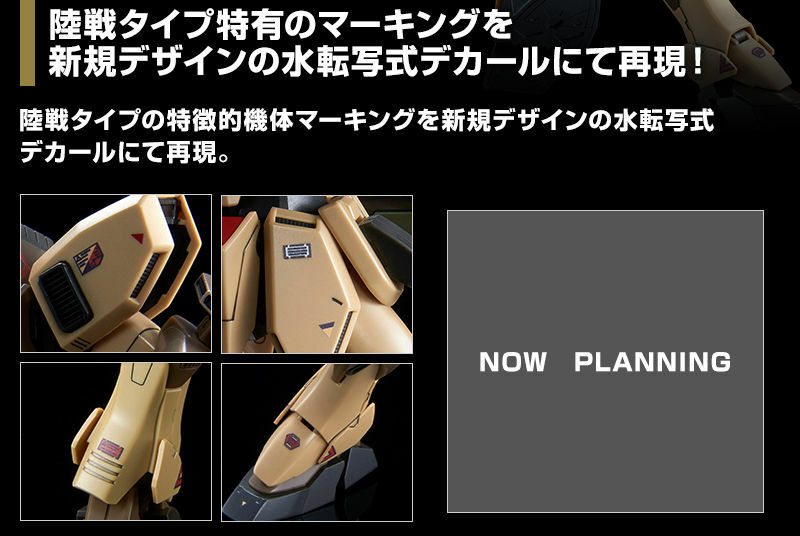 ● Various armaments of Gunnage are included! Comes with abundant arms, can reproduce a variety of poses. Fixed armed beam saber. The handle can be stored in the right shoulder weapon box by removing the beam blade. Beam rifle common to Victory type. Beam bazooka can be mounted on the back of the body. In addition, various gunshot poses can be reproduced by moving the grip base. Reproduce the characteristic transparency of the beam with PET material. Furthermore, the ripples of the shield surface beam particle are reproduced by print.